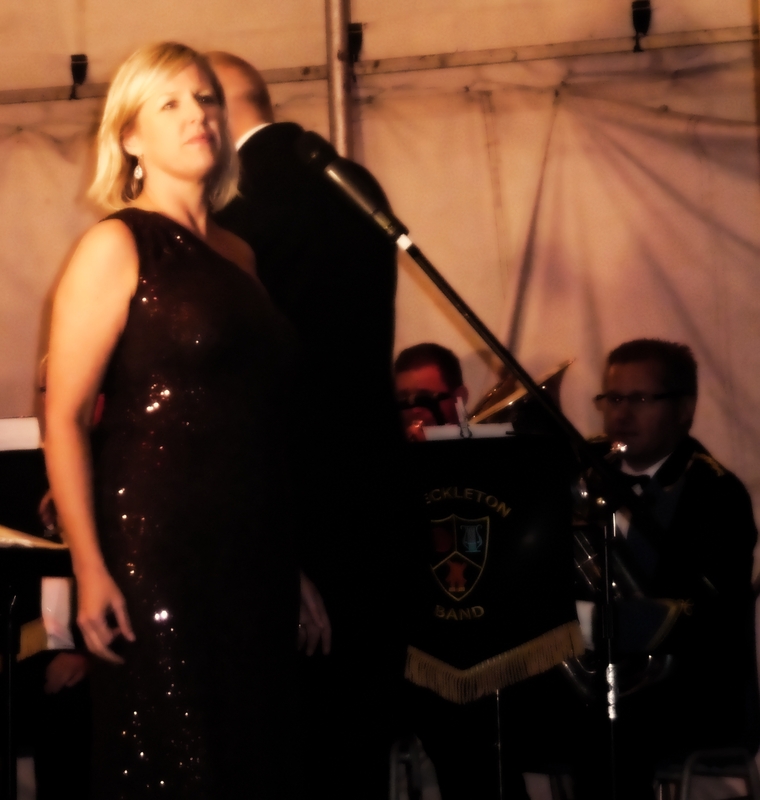 On a night more typical of October than August, the band and Junior Band took part in a very special open-air Last Night of the Proms concert in the village with special guest soloist Nicola Howard. Also on the bill was The Fabulous Starfish, whose Steve Collins played Flugel Horn with the band many years ago. 2013/2014 are very notable dates in Freckleton’s history. In 2013, Freckleton Club Day Sports Committee celebrated its 50th Anniversary, this year 2014, marked the 50th running of the Freckleton Half Marathon, the oldest half marathon in the country and second oldest in the world. 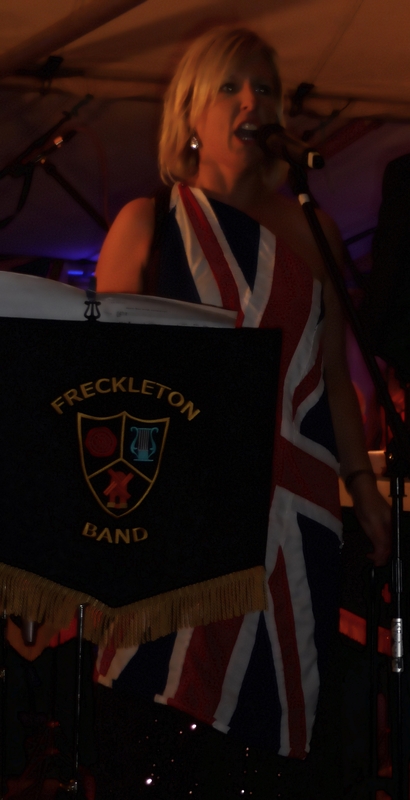 Also in 2013, Freckleton Band where crowned the “Northwest Brass Band Champions” first division and gained promotion to the Championship Section in 2014. On the 23rd August 1944, a B24 Liberator of the USAAF based at Warton (BAD2) took off in a thunderstorm and was trying to get back to the airfield when it crashed into the Sad Sack Snack Bar, where 14 people where killed, 7 American airmen, 4 RAF airmen and 3 civilians. Then the Liberator hit the Church of England School at 10.47am killing 38 children, 6 adults and the 3 crew from the Liberator. Therefore, 2014 also marks the 70th commemoration of the Air Disaster at Freckleton. With all these events and commemorations in mind Freckleton Club Day Sports Committee wanted to stage a “One off event” that would celebrate and commemorate all these important events and provide entertainment for all the village family. 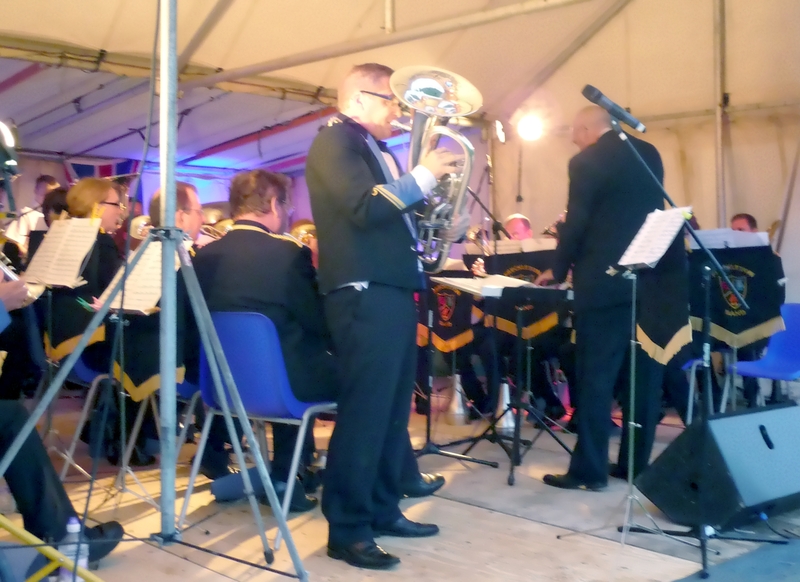 An open air “Last Night of the Proms” featuring Freckleton Band with a large open space for a two minute Firework display was finally decided upon, in March this year and a small sub-committee formed. The original idea for this event came from our late President, Harry Latham, who was also Vice Chairman of Freckleton Band and a crash survivor having been evacuated to Freckleton as a four year old boy. The 30th August 2014 is the second anniversary of his death, and as his three daughters and grand daughter are four members of the Club Day Committee, we wanted to do this in his honour. The Junior Band, led by Kath Threlfall, kicked-off the evening with their 20 minute slot playing film and TV themes including Wallace and Gromit, Scooby-Doo, The Muppet Show and James Bond. Their playing warmed the hearts of the many people who had braved a torrential shower to see them. The Fabulous Starfish then took to the stage to perform, as they said in the programme, “their own take on songs from the unlikeliest of bed fellows – Pink Floyd, Santana, the Doors, Led Zeppelin, Fleetwood Mac, Hendrix, Coldplay, Travis, David Gray, Elton John, Paul Weller, The Doves – to name but a few as well as their own distinctive original material”. 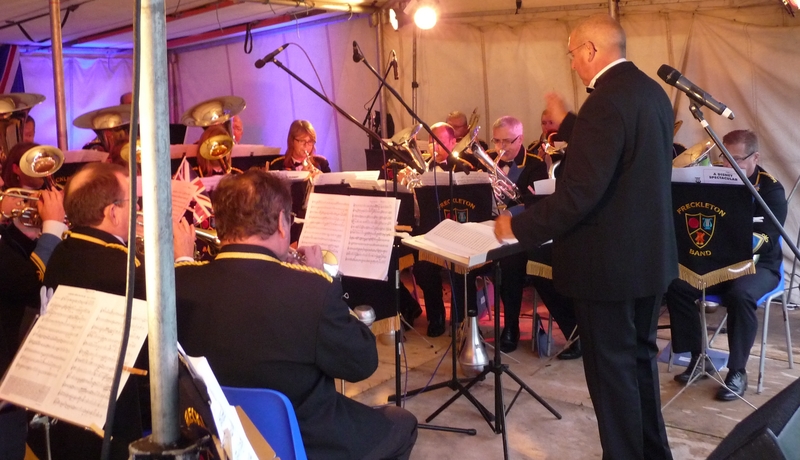 Freckleton Band and Paul Dalton began their concert with Stage and Screen as the theme, opening with the March from The Great Escape, Disney Spectacular, Selection from Oliver, Batman, Superman and Pirates of the Caribbean. The Howards gave us some terrific solos, firstly, Patrick playing Variations as used as the theme to The South Bank Show, followed by his sister Nicola singing Frank Bridge’s Love went A-Riding and I Feel Pretty from West Side Story. With a nod to the centenary of the outbreak of the First World War, the band started the second half of the programme with Songs from the Great War before embarking on the traditional Last Night of the Proms favourites. After Elgar’s Nimrod, Nicola wowed the audience with Gershwin’s Summertime and Vilja’s Song from the Merry Widow. The concert led up to a spectacular conclusion with Land of Hope and Glory accompanying a firework display via the Fantasia on British Sea Songs, Rule Britannia, Jerusalem and two Pomp and Circumstance Marches (Nos. 1 and 4). A huge thank you to the organisers and hundreds of people in the audience who braved a very cold night to support us and we hope you enjoyed it as much as we did. This entry was posted in Brass Band, Concerts, Freckleton, Players and tagged Community, Last Night of the Proms, Nicola Howard, St Michaels School, Village, Youth Band by grumbal. Bookmark the permalink.